1. Listing Agreement.. You just include a copy of the listing contract showing the lenders that the homeowner has hired you to represent them to sell the home. 2. MLS Printout of Home.. This is where you send a copy of the home as it appeared in the MLS. You want to give the details on the home to the lender. If you have reduced the price of the home while you have been marketing the home. You should send a copy of each MLS printout each time you reduced the price. 3. Comparable Homes that Have Sold. Provide the lenders with comparable homes that have sold in the area. The lender will order a BPO “Brokers Price Opinion” at some point during a transaction. But this is where a trained Realtor like a CDPE can make a difference. Untrained Realtors in short sales won’t include comparable homes with the short sale packet. Then once the negotiator gets the BPO back they only have set of comps to help determine value of the home. 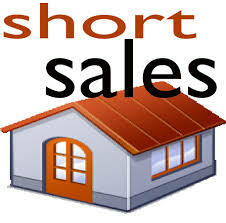 If you include your own comparable sold homes with the short sale packet you have a much better chance at getting your Knoxville Short Sale approved because there are two opinions of value. 4. Detailed Repair List. It is important to do a detailed review of the home on both the interior and exterior with pictures. You will need to make a list of the repairs that will need to be done in order to put the home condition in order to compete with the other homes currently on the market. Also include with the list a dollar amount it will cost to do all the repairs. By having this list put together you will be able to share with the lenders monies they would have to put into the home if they foreclosed. 5. The Current Market Conditions. Here is where you share with the lender the current market conditions in the market place. Include the statistics of how fast homes are selling, how many homes are currently competing with the subject home on the market. That way the lender gets a good feel for what is happening in your market place. This is Part 1 of how to achieve a successful short sale in Knoxville, TN. It takes a train professional like myself with the Knoxville CDPE designation to help guide a distressed homeowner through the short sale process. As a CDPE we are up to date on all the latest trends and changes that are going on in order to help homeowners who may be facing foreclosure.